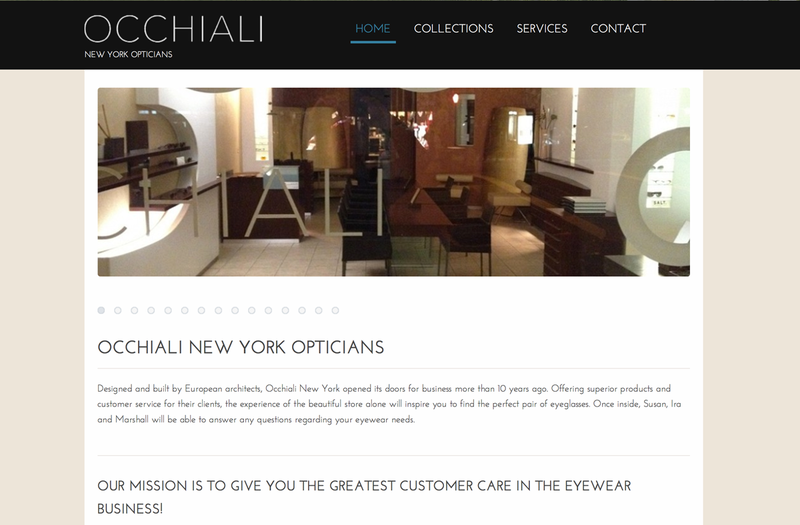 Created a Joomla website for a successful Optician Store on the Upper Eastside, promoting the product selections and brands that they have including the hours of their in-house optometrist. The site is fully responsive. Graphics are pulled from frame lines that the store work with. We chose to use pictures of the interior of the store as it was especially designed by a German Architect and is visually pleasing in every way.